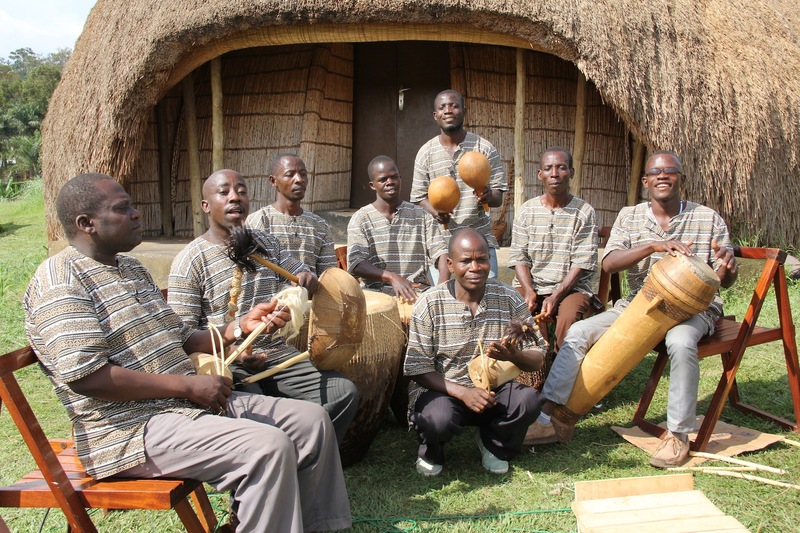 Buganda Music Ensemble: founded in 2004 and led by Albert Bisaso Ssempeke Jr, son of the legendary Dr. Albert Ssempeke Senior. “Ggangalwa”: A king servant tried to play with the princess. All women in the palace, however, are controlled and possessed by the king. He was punished by cutting off his fingers. His friends eventually found out due to all the rumors circulating the palace. They tried to ask him about it but he kept denying that anything had happened. Albert leads the song with the bow harp or Ennanga, a new instrument for us. Albert is only one of 3 master players. It was played in solo performances and the Ennanga player was the advisor to the king, as people would bring him messages for the king that he would turn to song. “Mulirwana”: it means neighbour and the song is about people who don’t trust their neighbours and they believe that anyone that doesn’t trust their neighbours is a witch. “Ssewaswa”: This is about twins Wasswa and Kato, and praising twins. “Anamwinganga”: This was a piece composed by Albert’s father in 1945 and recorded in the 1960’s. It talks about who will attack the king. He has all the security and people are there to protect him so he should be safe. “Tweyanze”: It is an appreciation song to say thank you.